75. Take I75 to exit 213 (University Pkwy) in Sarasota. Take University Pkwy east for approx. 2 miles to Legacy Blvd. Turn left and take Legacy Blvd. north. Follow the signs to the golf course. From the airport, go to I275. Take I275 south across the Sunshine Skyway Bridge to I75. Take I75 south to exit 213 University Pkwy. Go east on University Pkwy. for 2 miles and turn left onto Legacy Blvd. Go to I275. Take I275 south (across the Sunshine Skyway Toll Bridge) to I75 in Bradenton. Take I75 south to exit 213 (University Pkwy. ) in Sarasota. Take University Pkwy east for approx. 2 miles to Legacy Blvd. Turn left and take Legacy Blvd. north. Follow the signs to the golf course. I did not like this course at all. The fairways were like hitting off of concrete. Way way way overpriced for the shape it is in. Enjoyed this golf course, good lunch included with the round. Have played it 4 times now and would do it again. The course was beautiful and well worth the time and money. The back nine was very scenic and the pace of play was good.Will definitely be back to play and as a bonus 2 drink tickets were given with paid golf. A lot of fun to play. A lot of variety. Course is not overly demanding but will have your full attention on every shot. Fabulous condition. Good facilities and restaurant. The course was in great condition and the staff was very friendly. We will certainly play this course again next year. Great value, we played 36 holes and breakfast and lunch was included. Food was very good. We love playing here - more interesting holes than any other course, although we still wish they hadn't flopped front and back nines. Diana is the best cart girl in Florida - we must have seen her four times! The course was good, they did have problems on some of the greens and the course in general was not marked that well. Best of the three..have played this course before and enjoyed it more each time..great value with the lunch and breakfast included..this was a nice extra..course was in great shape even with the lack of rain.. Very nice course. Challenging for average golfers. Staff was outstanding, friendly and very accommodating. Nice to have the lunch and drinks included. Would recommend and play again. We always like playing Legacy because it is always so well maintained. This year was doubly special because they offered free replays. Excellent value for our golfing dollar. Beautiful course and community. Would go back again. We play every year. Challenging but fun to play. Conditions have suffered over the last couple of years but this year I see a little comeback. Still in very good shape. Fun course with too many distinctive holes to mention - wish they hadn't switched the front and back nines. Best feature is cart girl Diana - not only is she delightful, but we saw her every four holes - I don't know how she does it! It was cold outside. Played one tee box up and was the most challenging course of the week. The back nine was very challenging and scenic. Another course I would highly recommend. Bring some extra balls, the water comes into play on 14 holes...The staff was awesome and helpful. Great course, too many terrific holes to mention, and the best cart girl (Diana) in Florida. Too bad they switched the front and back nines, however. Quite a nice course and friendly. Great course - lots of memorable holes. Well kept, well run. They just switched the front and back nines to speed up play, which is too bad because the old finishing holes are terrific. It was cart path only that day due to all the rain, so it was a slow round. Great cart girl made it more enjoyable. Definitely worth playing. Enjoyed it a lot. Our favorite! Great course with many distinctive holes. Well kept with a great cart girl. We must have seen her five times. 19th hole closes up early though. Play this course every year. Wide fairways and conditions good. Friendly staff.. Wonderful layout, good service and pace of play. Course conditions were very good. We play here every year, and will do so again. Our favorite course - great shape, very interesting and just challenging enough. Best cart girl in the state. We liked the course very much. Very good course. Would recommend to anyone. Fast green and good layout. Have played this course several times and each time we love it. Any course with Arnold Palmer's name associated to it has to be top notch. The Legacy is! Great course. We play Legacy every year. Always in good condition - fun to play and challenging. Lovely course in good shape. Liked it a lot. Also very well organized by Tee Times USA. I will book with them again. Our favorite. Too many memorable holes to mention and great service. Fun 19th hole too. Can't wait to come back. Best layout and course we played. Good playing conditions and a challenging layout. Have played before. Extremely enjoyable and a bargaingiven the layout and the condition. Will definitely keep thiscourse in the rotation for future trips. Nice track. Part of our annual rotation. Greens rollgreat and the staff is freindly. Of the 9 courses we played on our trip this was byfar the best. Strong winds and lots of water and waste areas madeit a real challenge. Course conditions were excellent. Nice course - would play again. Tough course - bring lots of balls if you are a 14hdcp or more. Lay up and fly high into the green. Also one of our favorites. Its in great condition and challenging. Definitely a repeat for next year. Great course try it you will like it. Really enjoyed this course. Will probably play this one again when we return next year. Treated us like real guests. The staff was very friendly - changed our tee time so that we could play as a couple without being paired up. The course was lovely. Look forward to playing that course again. Very nice track for January. Greens were very fast and rolled true. All the personnel were very friendly. It was nice to have free range balls. Need to bring your own GPS device - need it to help out with hazards. Group of 8 from the Ottawa region who year after year come to the Sarasota area and never miss playing this excellent course. Always a pleasure and most certainly recommended for those looking for a stop in that area. Nice course. Well kept - interesting and playable. Pro shop staff very helpful. Only complaint is that they should have had a ranger out to speed up slow players in front of us. If you have played Legacy Golf Club at Lakewood Ranch, we would like to hear from you. The Legacy Golf Club at Lakewood Ranch offers a level of service and conditions found at world-class private facilities. The Lakewood Ranch golf course is an Arnold Palmer Signature 18-hole golf course that is open to the public and comprised of elevated tees, majestic native oaks and natural wetlands. 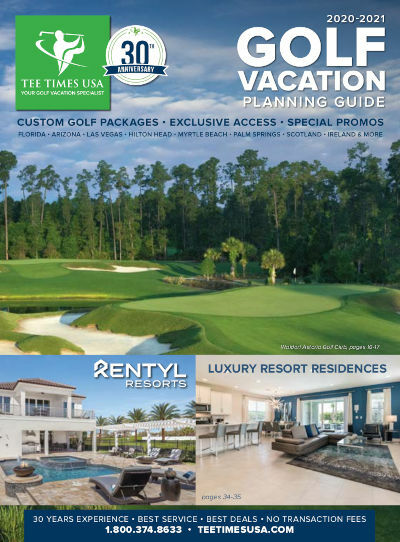 The Legacy Lakewood Ranch Golf Course was voted among "Best Places to Play" and 4 1/2 stars by readers of Golf Digest 2008-2010, and one of America's Top Golf Courses by ZAGAT Survey 2007-2010.